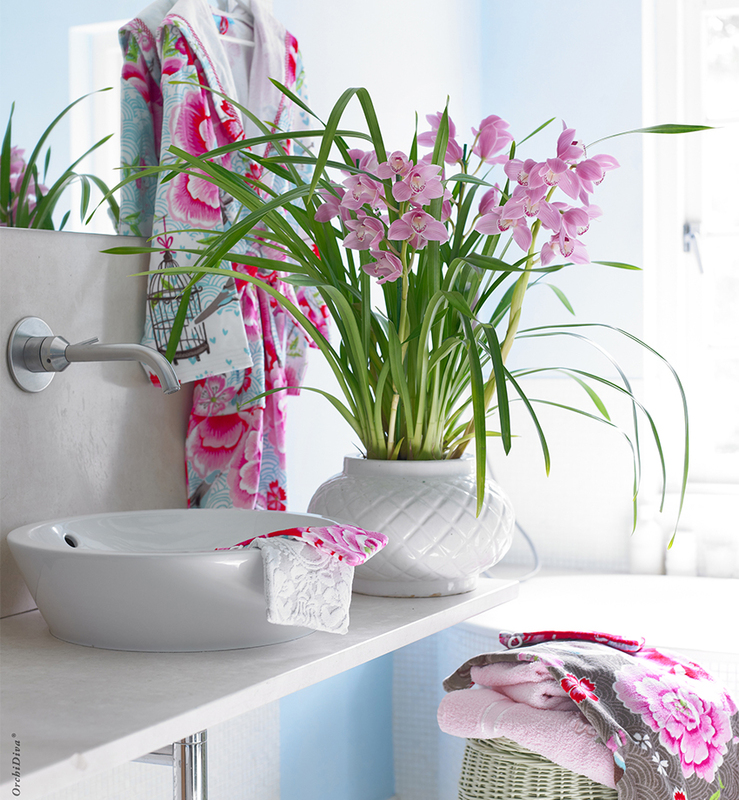 The OrchiDiva® feels right at home in a bright bathroom. Her bright pink flowers give the room colour and allure. By having the colour coming back in towels and accessories, a quiet, contemporary atmosphere is created in which it is pleasant to be in. As true kitchen princesses, these OrchiDiva®’s are showing off on the worksheet. The pots are tough, but the combination with the lush plants creates an elegant picture. This striking duo is not only beautiful in a modern kitchen, but also works well in a spacious living room or bedroom. 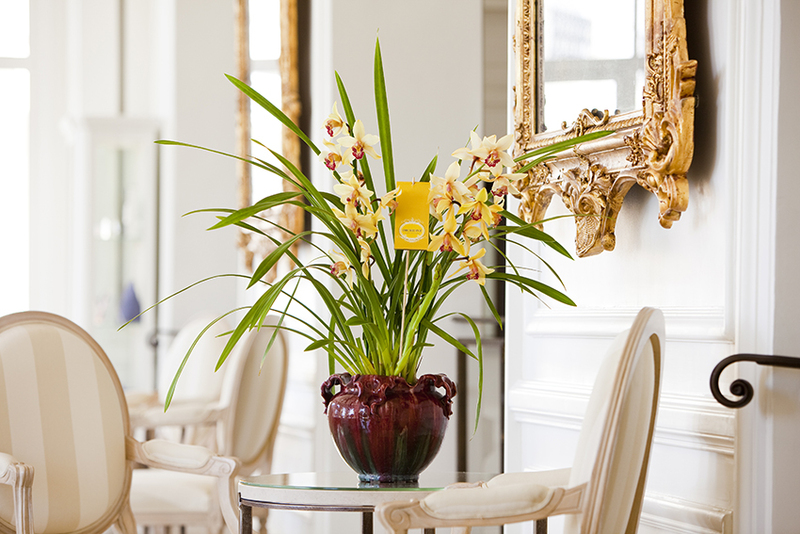 The OrchiDiva® is available in the most diverse colours. This brown variety looks tough and feminine at the same time. The high pot emphasizes the tough side, while the design tends towards the feminine. A combination that you keep looking at! Also beautiful in a business environment. 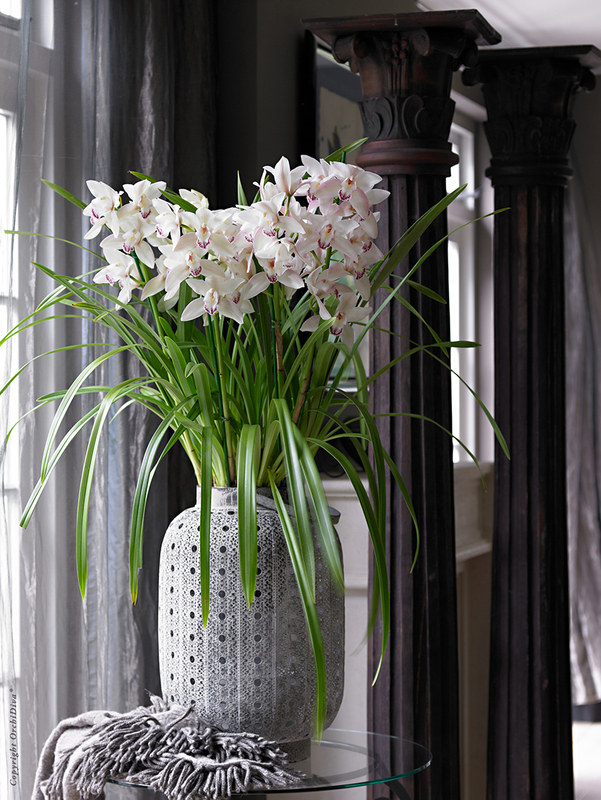 Who can resist the seductive look of this OrchiDiva® in lovely pastel tones? So romantic, gracious and powerful and tough at the same time. That can only be the OrchiDiva®. Beautiful as living artwork in a bright, romantic bedroom, but also very suitable as a stylish accent in a sturdy, loft-like space. 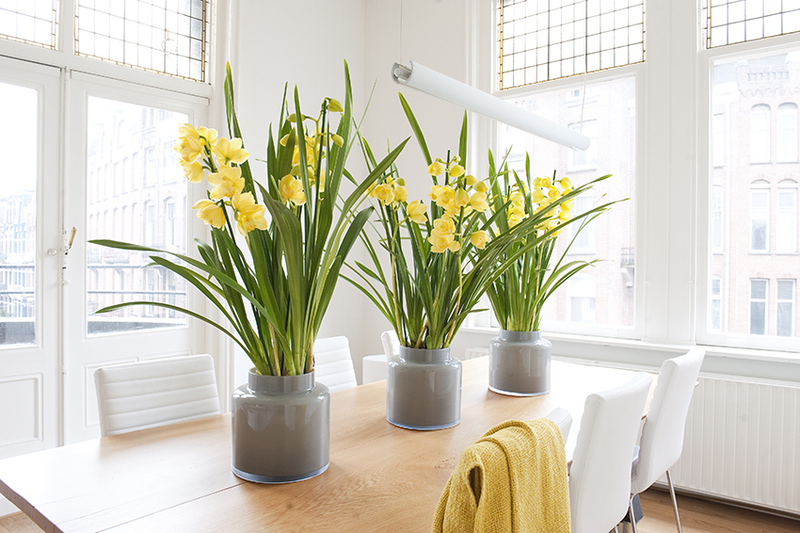 The warm yellow tones of this OrchiDiva® bring the interior to life; as if the sun is always shining. The exotic beauty is enhanced by the use of exclusive fabrics and accessories in the same sunny colour scheme. The high, sleek pot gives just that contemporary accent, so the combination is very modern. 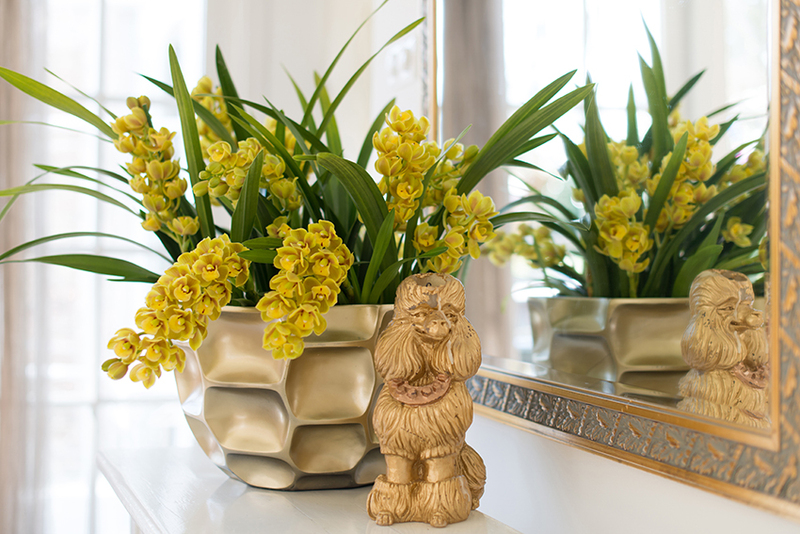 Give a Cymbidium find for every occasion an Cymbidium that fits.